Sight, a short film by Sight Systems, gives us a unique look into our AR-driven future, which we are perilously close to experiencing first hand. Sight, a 2012 short film, sets the scene of a near future driven by AR. Now that we’re five years closer to that reality, the film has become more relevant. It gives us a guide, and a warning, for how to deal with the inevitable. As our society continues to press forward into Industry 4.0, creators of sci-fi entertainment are beginning to speak directly to our current tech culture. From pop-culture staples like Ex Machina and Black Mirror, writers and directors are approaching real-life concerns about privacy and obsession, and how these concepts intertwine in order to make for a terrifying reality. 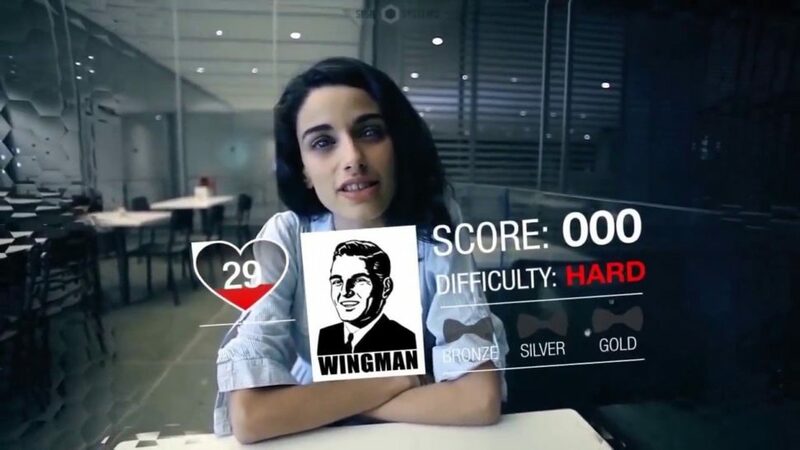 Looking back at Sight, a 2012 short film about how augmented reality and gamification will change dating in the modern age, it is not difficult to find the entire premise eerily prescient. In fact, the film was produced 5 years ago, which is probably about 10 tech years, but the overall premise still rings true today. The emphasis that the production crew over at Robot Genius puts on setting their films in the near-future-almost-present time period lends an important perspective to how, with new innovations steadily improving and becoming more accessible, we have become more desensitized to questioning new tech and new information. Sight, and the other videos from Robot Genius serve as thought experiments that take our comfort level with current tech to reaches that, though possible, are beyond what the regular imagination is willing to assume when presented with new technology. The film takes technology that already exists, or that is on the verge of coming to fruition, and shows how we might grow to interact with it in our new future. AR doesn’t just shape the ways that humans interact with one another. It also changes the ways in which we relate to physical space. This, of course, is the definition of augmented reality: enhancing the real world with digitally overlaid media. In the film, however, it becomes apparent that AR has moved beyond what it is today. AR is not just the yellow line that marks the first down in American Football, or an app that can immediately translate words on a screen, but fully enmeshed in how we see the world. The aesthetic of this film is distinctly minimalist, in the same vein of other recent science fiction films. This could be just because of the overall changing aesthetic in this genre of film, but it is an interesting way make sure that AR is the focal point of every shot. The lack of personal items that the main character has in his home was jarring at first. He lives with the bare minimum. Some furniture, but no color. His paintings, trophies and decorative items are all AR overlays. The fridge is barren, but not in his eyes. This is a nod to our future: the importance of owning physical objects will take on new value in an AR world. As we adapt to AR as a part of our daily routines, we will need less visual clutter and stimulation that will compete with the technology. With AR also comes the gamification of reality. From the small detail of the film, to the central plot line, we see how the stimulation of the brain’s reward center is sometimes enough incentive to motivate people. In the film, when a task or chore is presented in the form of a fun game, it does not matter that it is wasteful, inconvenient, or even hurtful to other people. One striking scene from the film is when *SPOILER* the main character uses AR in his daily routine, turning meal preparation into a competitive game. Like in most digital games, if you don’t like your score, you can start over and try again in order to reach perfection. This is a major theme of Sight, how our learned digital quests for perfection can cast a cloud over practicality and the imperfections of analog reality. AR can give us the illusion of perfection, but will that be enough? It was touted as a fun activity that was bringing people outside. Yet, we spent a lot of time and effort so that we could catch the (undeniably cute) Pokemon, despite not being paid or compensated monetarily. The first Pokemon Go water festival ended last week in Florida, where Squirtles abounded on walkways and in fountains. If you missed it, don’t worry. We’re sure it will not be the last. Sight is a surprisingly relatable short film. Let’s hope that it is not also surprisingly prophetic. Of course, there are benefits to AR, and it will ultimately change the fabric of our society. This is a good thing! And sci-fi films like Sight are a guide to show us the worst that could happen with AR, so that ultimately we can avoid making those kinds of mistakes.